This snap of Pearl chewing on a stick after a fruit snack, couldn’t help but make us think of a ubiquitous item on Chinese dinner tables, toothpicks. We all want a pearly white, great looking smile, and it seems like Pearl is no exception. Sadly, making sure the bears at our Chengdu sanctuary have healthy teeth is an ongoing battle due to the continuing effects of years of abuse. 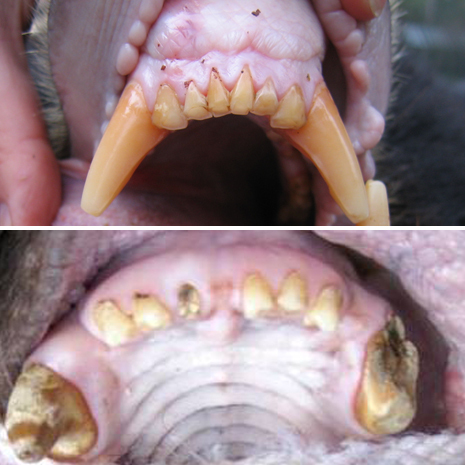 In their lives on cruel farms, bears suffer lasting damage to their teeth. Many have a mouthful of broken teeth due to chewing on metal bars in a vain attemt to escape. Some had their teeth cut back as a safety precaution by farmers, and many more suffer long term effects of malnutrition from their time in captivity. 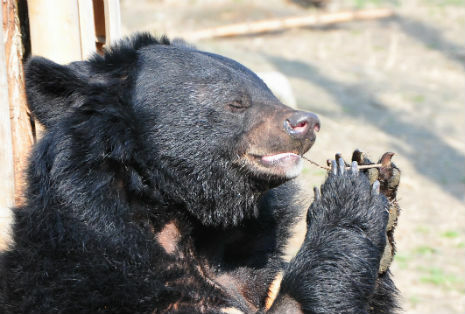 The teeth of many of the Chengdu bears are weak and prone to fracturing from normal bear activity. Even playing, wrestling, chewing or foraging can cause more damage. 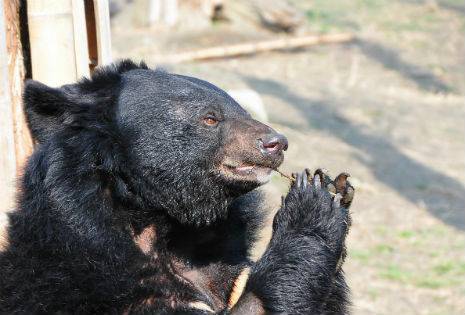 But today, after nine years in an Animals Asia sanctuary, Pearl appears determined to keep her moon bear molars in good repair. “When the bears are rescued, we examine the teeth and extract any that are diseased, broken, or infected. Most of the newly rescued bears have severely diseased teeth that need to be extracted right away. Life at the sanctuary provides them with a balanced diet and opportunities to use their teeth to chew on crunchy veggies as well as manipulate a variety of enrichment devices and structures. Enrichment is key component of the behavioural management programme that stimulates the bears physically and mentally and encourages a natural repertoire of behaviours. A big, sociable bear like Pearl, who lives in one our biggest bear communities with 17 other bears, needs to be able to play, wrestle with the bigger boys and forage away without worrying about agonising toothache. She deserves that much. Happy Moonbear Monday everyone, and keep smiling!